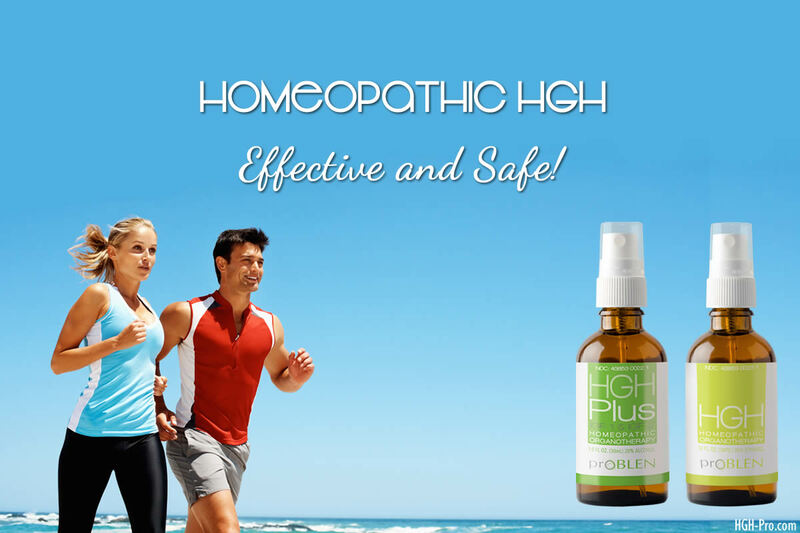 Why Homeopathic HGH Spray is the Smart Choice! and without the possible side effects a non-homeopathic dose could produce. Dr. Davis also states in his book that Mr. Howard Turney, who took the HGH injections longer than any known adult, and is known as "the father of human growth hormone" changed from the injections to homeopathic HGH spray. Yes, it is true that homeopathic HGH spray is safe, affordable, and very effective, yet some selling the pill products and others who sell black market and fake HGH injections, as well as some of the anti-aging clinics who want to sell you the injections themselves will claim that only the injections are effective. The president of the American Academy of Anti-Aging Medicine states that many people do not require full hormone replacement with the injections. He recommends taking non-injection products that help increase the human growth hormone released by our own pituitary gland. Please keep in mind, if those offering injections did admit that homeopathic HGH is effective they would lose much of their business. Many people would not want to make themselves dependent upon full hormone replacement by injection if they knew they could receive very good results from a much safer and more affordable homeopathic sublingual product. Those who take injections may become dependent upon them because their pituitary gland will no longer need to supply the same amount of HGH, and so it can become lazy. Why begin that process now, if you still have a healthy pituitary gland that is capable of releasing more HGH with a little help from a safe and proven homeopathic product? Please be aware that not all spray products are homeopathic, and not all contain actual homeopathic human growth hormone. Some sprays only contain homeopathic amounts of vitamins, herbs, and amino acids. On the other hand, some sprays are homeopathic yet their sellers want you to believe they are not. Please see "Claims About Sprays Not Being Homeopathic" for more about this. Medical studies show that small amounts of HGH taken at frequent intervals work better, which is also one of the basic principles of homeopathy. The pituitary gland releases a small amount of human growth hormone at various times throughout the day and usually during the first 90 minutes of deep slow-wave sleep. When taking the injections a full 24 hour's worth of synthetic HGH is injected either all in one dose in the AM or in two divided doses. This is not natural to the body. Homeopathic HGH is best taken 3 times a day, and since it is serially diluted and potentiated at successive levels it continues to work in the body throughout the day and night. According to homeopathic principles, the succussion process actually makes the growth hormone potent, or dynamic, so it is even more bioactive in the body. The homeopathic process energizes any elements that are produced in this manner! The homeopathic form of human growth hormone does not seem to interfere with any other health product, supplement, or medicine that an individual might take. The homeopathic form of HGH should gently encourage the pituitary gland to release and balance its own growth hormone in the body. This is called homeostasis. Homeopathic HGH is more readily available and is easier to use than injections. Homeopathic products made of liquid are far superior to tablets, because liquid is easier to use and penetrates faster and more thoroughly over a larger surface area. The homeopathic theory of dilution and succussion teaches that molecules can penetrate the cells more easily. Top quality homeopathic products are checked for purity and potency at the beginning, during, and at the end of the manufacturing process. Since the inception of homeopathy in the 1800's, no homeopathic remedy has ever been recalled because it harmed someone. An FDA ruling in 1938 is a testament to its safety. Over 200 years of research in homeopathy seems to show that it creates gentle positive chain reactions which promote general good health. Does Homeopathic HGH Really Work? The question below was from a nurse who posted it in our old forums. My reply to her follows. Question: I am very interested in your product. I have been doing research on HGH injections for over a year and was going to call tomorrow to set up an appt. with a doctor (5 hours away). I am a 46 y/o disabled RN due to the fatigue from Sjogren's syndrome, thyroid problems, and head and hand tremors. I have always discounted oral products because the experts say it is impossible to raise IGF-1 levels (and resulting symptom relief) any way except injection. But your product is so compelling. Could it be that this could really do the same thing or at least have the same benefits? Maybe this could be an answer to prayer. I know that my IGF-1 level is 111ng/ml. Which would be the best of your products to try and where would I find the ingredient list for that? Thank you so much for your time. C.R.G. Answer: It is true, there are those who say that non-injection human growth hormone therapies do not work. I have been receiving benefits myself from homeopathic HGH for years and I speak with clients every day who tell me about their benefits, including seeing their blood IGF-1 levels increase, so I know without doubt that it works. Of course no health product or medicine works the same for everyone, however, we have a very high success rate with our homeopathic products. I know that during my nursing education and also during my many years working in the hospital the opinions regarding alternative therapies were negative. I remember hearing my colleagues say that nutritional and herbal products were useless. Of course with hearing all the negative opinions I also adopted that same opinion, rather than to learn about homeopathy and perhaps try it before I judged it. I remember many years ago my friend and I were in the wilderness in upstate Michigan at the Women's Music Festival, which was hours away from a town. My friend was stung by a bee. She began to swell up and turn red and she became tachycardic and slightly short of breath. Since she had a history of having allergic reactions to bee stings something had to be done quickly. At the festival there were no medical doctors or nurses. There was a first aid tent and in that tent was only a homeopathic doctor. We took her there and the lady gave her a small amount of a homeopathic liquid immediately. As a nurse I just knew that no homeopathic product could stop a possibly life threatening anaphylactic reaction. I knew she may need an epinephrine injection so I was running around trying to find someone to take us out of the woods to a real doctor. Within about five minutes of her taking the homeopathic liquid the symptoms started decreasing and after a few more minutes she was fine. We enjoyed the rest of the festival. I was shocked that I had seen this happen with my own eyes but I still tried to explain it away. I didn't want to admit that a homeopathic product that required no prescription could be effective. It was years later when I heard about homeopathic HGH. Even after what I had seen happen when my friend had the bee sting I was still hesitant to believe that a homeopathic product could be effective, that is until I saw it work on another friend. I finally decided to try it myself and it changed my opinion about alternative therapies completely. I believe that many of the negative opinions of medical professionals come from the fact that we don't understand how homeopathy works, or perhaps it's because it works differently than we are used to. We in modern Western medicine are used to giving a therapeutic dose of a prescription drug to treat illnesses, we are not used to giving homeopathic potencies of the active ingredients that stimulate the body's own healing powers. I also believe that some doctors have the opinion that they worked very hard to obtain their licenses and to be able to prescribe prescription drugs. They had to learn about all the prescription medications that are used in medicine and so the idea that a patient can take an OTC product that will work just as good or better than anything they could prescribe just doesn't sit well with them. I believe some doctors may adopt this opinion without even knowing it. We do have doctors who take our products and also carry them in their offices for their patients, however, there are other doctors who tell their patients that no type of non-prescription HGH product is effective, and I think this is a shame. It is true that injection is the only way to deliver a full HRT dose of human growth hormone into the body in one dose, however, besides delivering homeopathic HGH to the body homeopathic products also help the pituitary gland to release more of its own. We have non-injection diabetes medications that help the pancreas to release more insulin so why can't we have non-injection products to help the pituitary gland release more HGH? Perhaps the reason is because diabetic medications are patented drugs that require a prescription and the non-injection HGH products are either homeopathic HGH or amino acids that do not require a prescription. Anyway, I did not mean to write a book, it's just that I am very passionate about homeopathic human growth hormone and I wanted to give you my opinions as to why some in the medical profession incorrectly state that all non-injection products do not work. 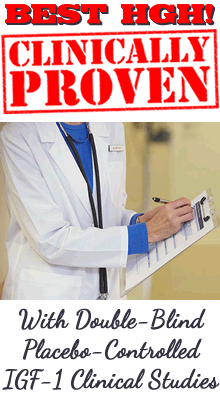 Others who claim that only the injections are effective are the web sites that sell injections. Some of the people involved in selling the injections over the Internet were arrested in the scandal and investigation called "Operation Which Doctor". Compounding pharmacies and anti-aging clinics were raided, and there has been a crackdown on doctors prescribing the injections, so hopefully people will now understand why those web sites are making that claim, they were making millions with HGH injections. Concerning our product, I cannot guarantee you it will work for you as well as the injections, however, I have spoken to clients who have taken the injections and they are very pleased with the benefits they are receiving with our product. I have also spoken with clients who were not happy with the results they received with the injections, so I think it depends on the person and how well their body responds to the therapy. In a base of sterile water and organic vegetable alcohol 20% - to hold the potency stable and enhance absorption. The amounts are given in proper HPUS homeopathic potencies. My recommendation is usually this; you can always decide that you wish to take the injections, but why start with them, especially if they are not needed? Our product comes with a money back guarantee and the vast majority of our clients see benefits within the first 30 days of taking the product as directed. If it doesn't work you can return the product for a refund and then move to the injections. Hopefully you saw our pages of testimonials, as well as my own testimonial, and for much more information you might want to check our left menu and sitemap. I do wish you the best, and if you would like to speak with me please call 866-269-4069 in the U.S., or 818-902-0685, I will be happy to talk with you in more detail about our product and my experiences with it over the past 19 years. Proper Potency of Homeopathic HGH - What is 30X? HGH Injections or Homeopathic HGH?